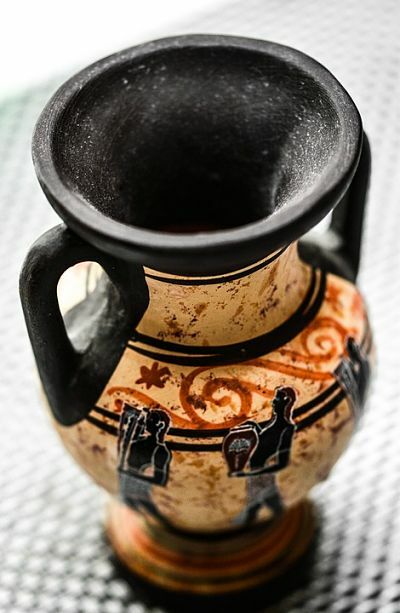 The people lived on the shores of the Eastern Mediterranean and more specifically in the territories bordering the Aegean Sea have always shown great dexterity in the processing of ’ clay. This allowed them to get pots, bowls and plates and stilizzarli at will. After being modelled were decorated with colours obtained from natural pigments and put to bake special furnaces, becoming ceramics. 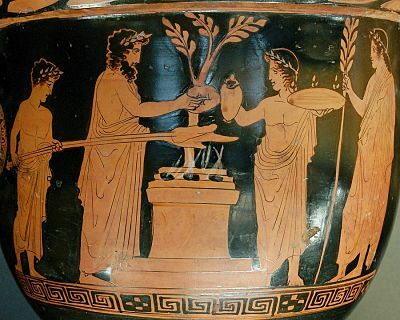 Decorating jars ceramics (from the greek kéramos, term used to define l ’ clay) It is called vase painting. The areas most painted were l ’ mouth of the vase (the so-called mouth), the middle part (Belly), the part of support (on foot or base) and the handles (Anse). Since the early years of the second Millennium b.c., the Cretans, produced with the aid of thin-walled vessels lathe ’ (about one centimeter in thickness) He painted with geometric patterns inspired by generally to the natural world (better known as Kamares stream style). In later centuries the vase painting developed increasingly, characterized by freedom and natural shapes in Greek, telling stories and ancient myths, with special scenes and a great attention to detail. black-figure style on red background: figures painted with black paint that leaves out the red background of fired clay ’. The details are engraved with a metal tip, the stylus. Red-figure style on a black background: the vase is covered with paint leaving out the parts that correspond to the figures, that redhead. Red-figure painted details are then reviewed with thin brushes. 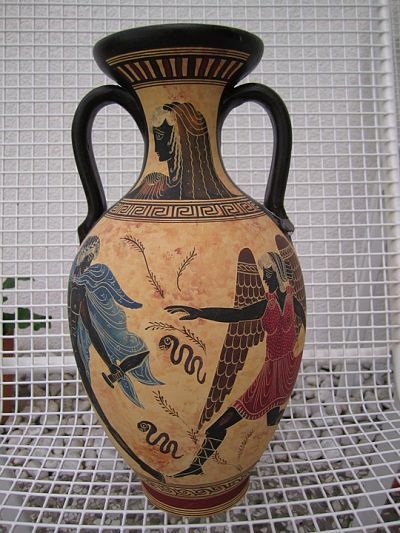 The shapes and sizes for the Cretan ceramics and more generally the Greeks had a precise function. Larger vessels, such as the Crater were used to mark the graves where they were accepted bids in honor of the deceased or, very often, they were used during banquets for mixing water and wine.